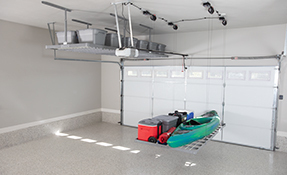 Have you ever thought about using your garage’s ceiling space as storage space? 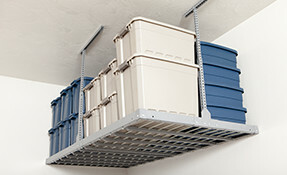 Our overhead garage storage in San Diego takes advantage of unused overhead ceiling space to store your items. 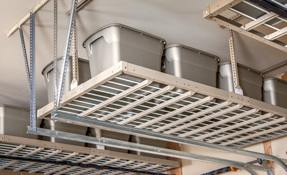 Our steel overhead racks allow you to store hundreds of pounds of storage items up out of the way. Our overhead storage in San Diego utilizes your unused overhead space to store less frequently used items up out of the way. This frees up more space below for more frequently used items. Items stored from the ceiling can be tough to get down when you need them. Some of us need the convenience of accessing our things at the ground level. Our garage storage lifts in San Diego make that possible. Four motors lift and lower the rack with steel cables and are controlled from an app on your smartphone. Customize your storage height parameters and make loading and unloading easier than ever. Most ceiling space in the garage is wasted. Take advantage of that wasted space with the best overhead garage storage San Diego has to offer. Adjustable: Our overhead racks are fully adjustable. You can extend or retract the height as your storage needs may change over time. Safe: Our racks are securely fastened into multiple mountings and constructed with a 2-inch safety lip, ensuring nothing will fall. 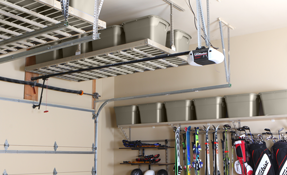 Multiple Uses: Overhead racks are great for more than just the garage. They are relied on in garages, storage spaces, warehouses commercial spaces and any space that needs a large amount of items stored. Affordable: Overhead storage racks are the most affordable way to store and organize a large amount of items up out of the way. Plus, with everything stored in your own home, you’ll eliminate the need for a monthly storage unit. Quick Installation: If you’re looking for a quick install, look no further. 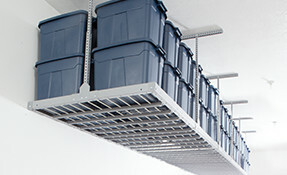 Once installed, our overhead garage storage in San Diego is ready for use. Give us a call today for the best overhead garage storage San Diego has to offer. 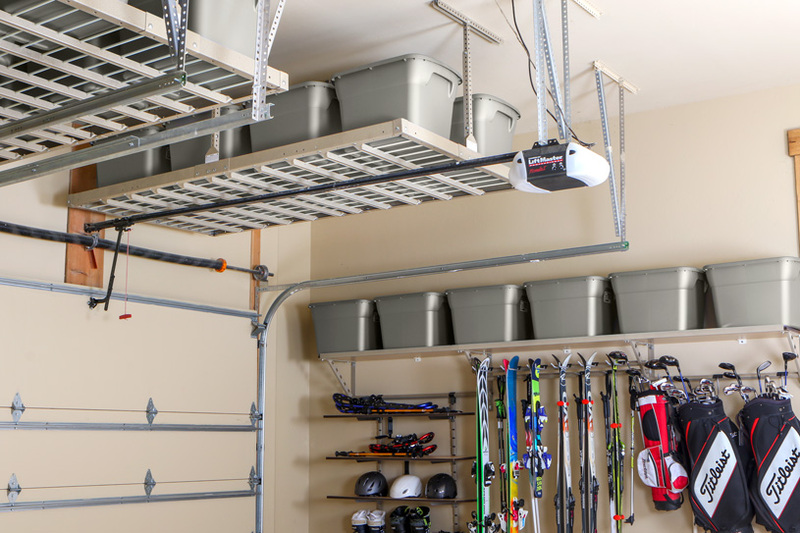 If you want a great, organized garage, contact us today to learn about our overhead garage storage in San Diego!